Sensory processing is the brain’s ability to process information through the five senses–sight, smell, touch, taste, and sound–as well as the two senses of proprioception (body awareness) and vestibular input (balance). Every human on earth has these senses, and each person has their own preferences and strengths based on these senses. Perhaps you hate the taste of onions, or you’re very good at balancing on a tightrope. Everyone’s experience with sensory processing is different, and we all learn how to manage our unique experiences. For children with Sensory Processing Disorder, one or more of these senses may need more or less input than the average requirement. 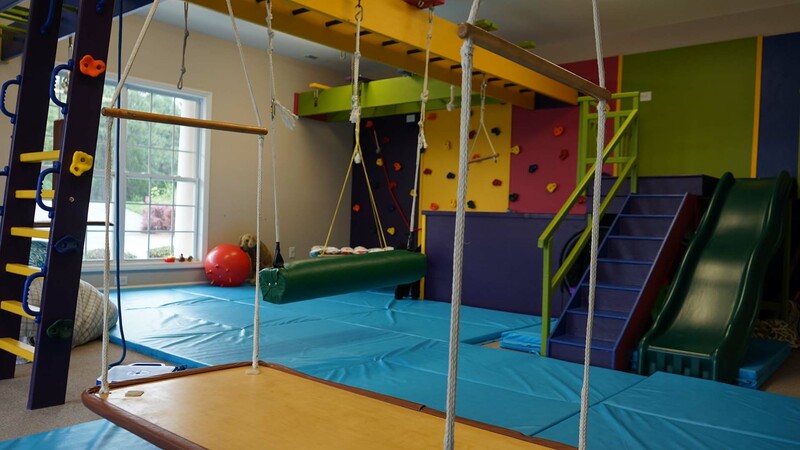 Often times this more or less interferes with the child and families daily routines to the point where Sensory Integration Therapy is needed to assist in regulating the senses. Those with Sensory Processing Disorder must learn coping skills and self-regulation to make sure that they are getting the right amount of input and stimulation that their bodies need. Sensory Processing can be a struggle,its too much or too little, too fast/ slow, too loud, too bright, too much talking or too much commotion….One things for sure it is something that can be helped….Occupational Therapist at Moore Pediatric Therapy are trained in Sensory Processing Disorder, they are sensitive to the struggles that come with it and are here to help you and your child.